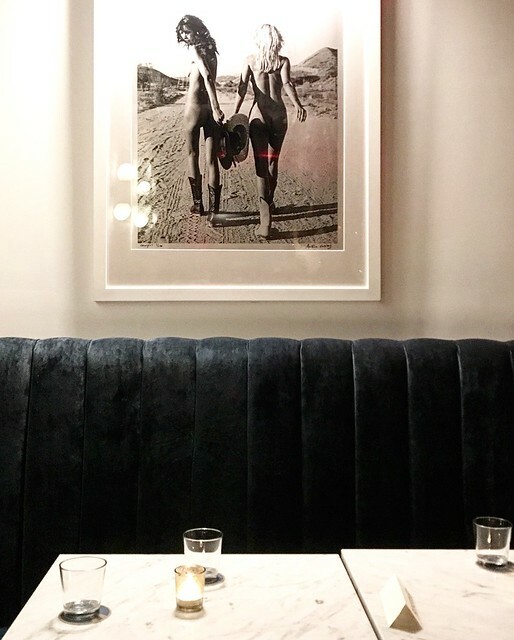 We love a good cocktail bar, and even better when it’s a vibrant scene with great food. 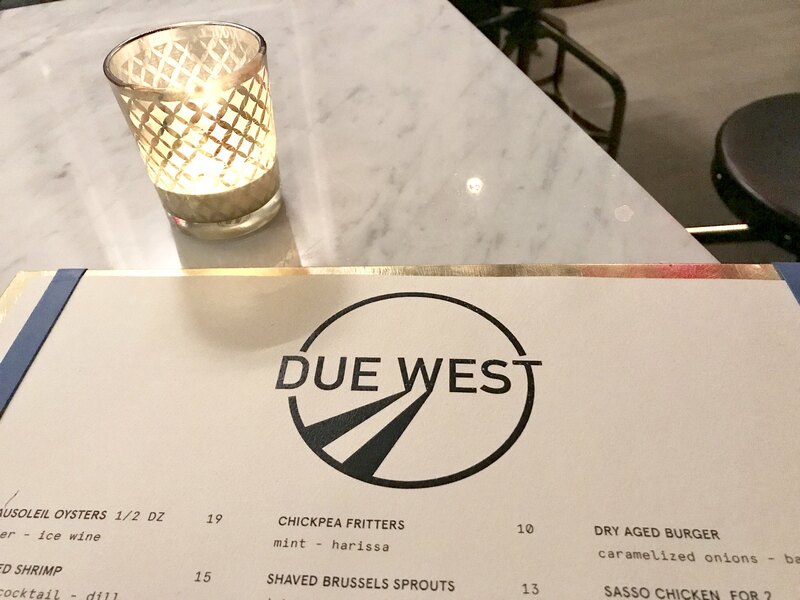 Enter: Due West, a new bar in the heart of the West Village that hits all of our requirements for a good night out, whether with friends or as a date spot. Managing partners Andrew McLaughlin, Joffrey Lupul, Jess Goldfarb and Camilo Viafara came together and used their expertise in the industry to create a beautifully curated cocktail bar. They teamed up with executive chef Adabis Castro, formerly of Atrium Dumbo and Le Bilboquet, to offer delicious bites to complement the sophisticated space, which showcases a rotating selection of artwork from the renowned ACA Galleries in Chelsea, from artists such as Jim Marshall, Richard Hambleton, Antoine Verglas, and Bradley Theodore. The food is delicious, but cocktails are what gets the crowds to flock here. The cocktail program is extensive, featuring seasonal offerings of innovative cocktails as well as classic cocktails with their own Due West twist. We tried the Old Diablo, which pays homage to the former Diablo Royale space that Due West now occupies (RIP). 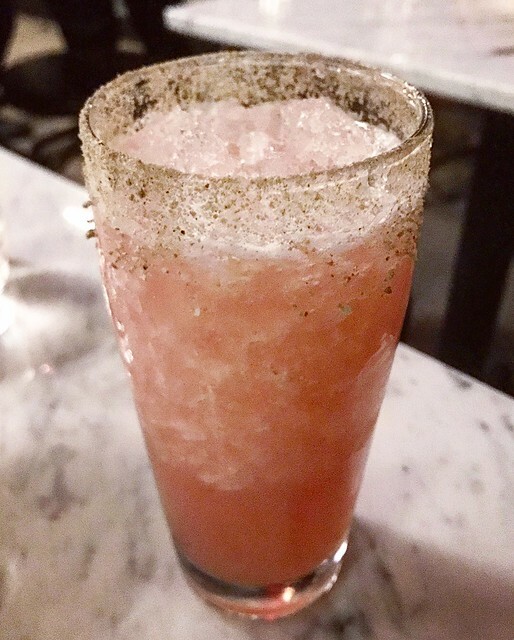 It has quite the kick with tequila, lager, a house-spiced grenadine, lime, and rimmed with a charred citrus sea salt. 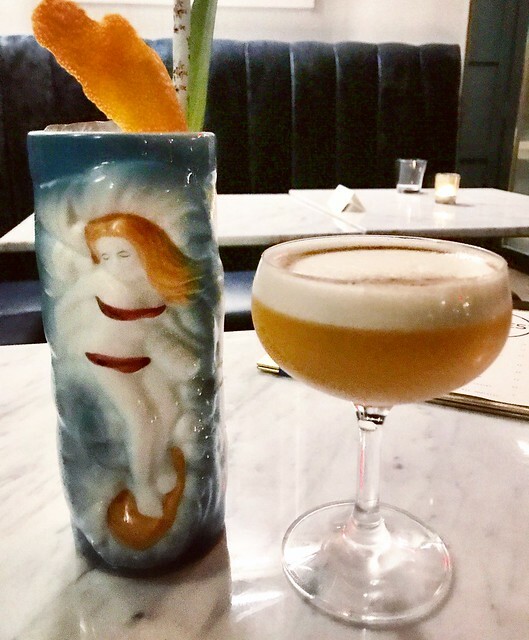 If you’re ordering based of cocktail names, Dead Reckoning is another one that packs a punch with Chairmans Reserve rum, Creole shrub, orgeat, grilled pineapple, and lime. For something smoother, I loved the DW Sour with Fords Gin, tangerine, tamarind, lemon, and egg white. If you’re in need of something on the refreshing and fruity side, opt for the Orchard Street with vodka, pear brandy, ginger, apple, and house cranberry bitters. You can even Build Your Own Old-Fashioned where you can mix-and-match spirits. 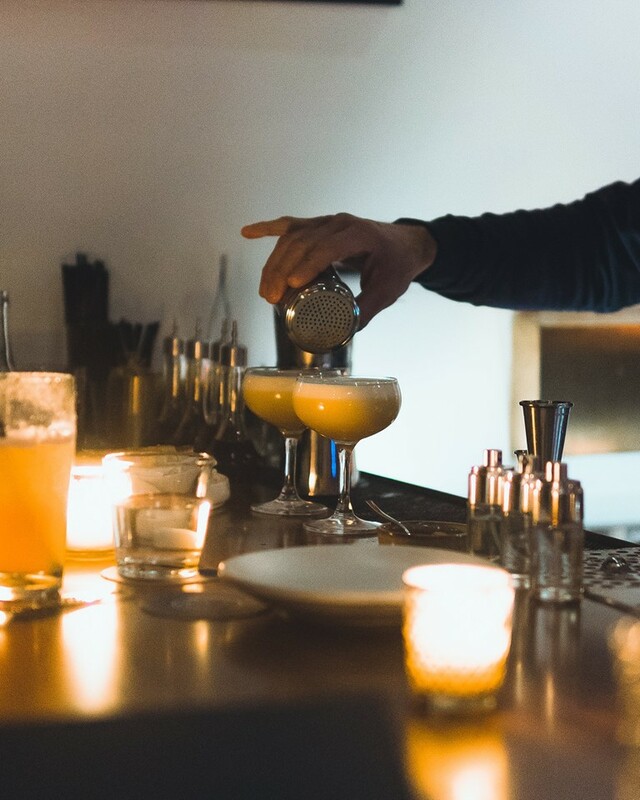 Choose your liquor (rye whiskey, mezcal, or American brandy), your sugar (cane, smoked, or maple), and then your bitters (aromatic, orchard, or chai), and you are your own mixologist! Kind of. They also offer an array of cocktails on draft, which they rotate regularly. And don’t forget about their extensive wine and champagne list, and bottled and draft craft beers. Cheers! 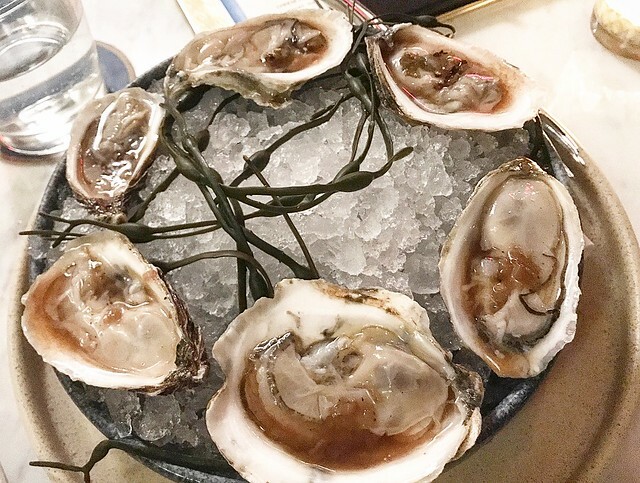 We started with the East Coast Oysters from the raw bar to start, along with the Shrimp Cocktail. Another popular item is the Bay Scallops with coconut milk, which we enviously started down at our neighbor’s table. 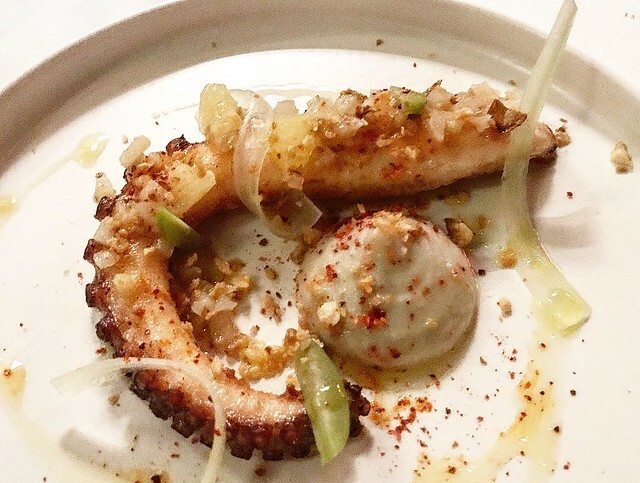 Sticking to the seafood theme, we tried the Grilled Octopus with sunchokes and meyer lemon. The octopus flavor was subtle but was complemented very well by the sauce. 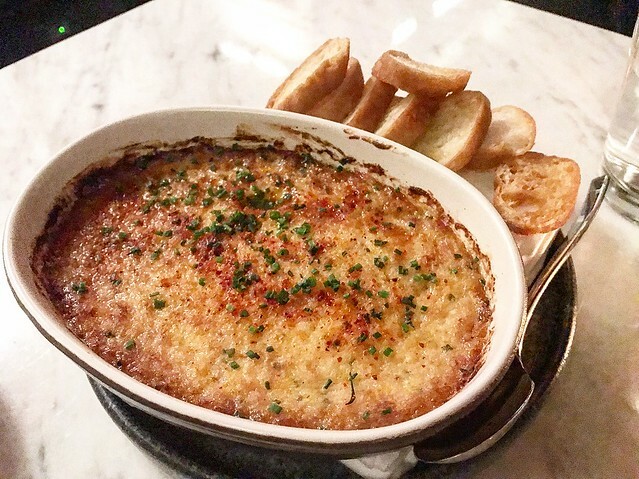 We also had the Hot Crab Dip which was definitely less subtle and full of cheesy goodness, and serves as an excellent dipping sauce for basically every other dish. 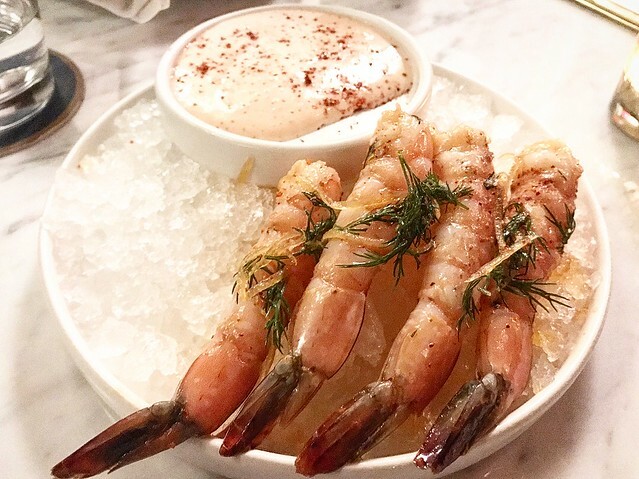 For those who want non-seafood options, their other small plates and bar snacks include Chickpea Fritters with red pepper and bottarga, Yukon Potato Bread with smoked onions, and Fried Cauliflower with strained yogurt and a sweet and sour curry. A great offering of very diverse flavors. 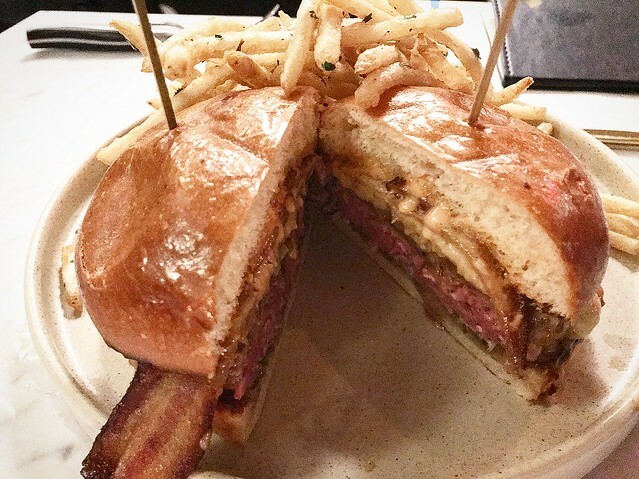 We tried their signature Dry-Aged Burger with caramelized onions and bacon. The patty is cooked to your order and is incredibly flavorful and juicy, a great pairing with all of the amazing cocktails and beers you are sure to be having. For a lighter option, go for the Whole Fluke for Two topped with brown butter and lemon, or for a truly indulgent meal, try the Sasso Chicken for Two with foie gras and leek butter. You will definitely want to share and get a taste of everything. 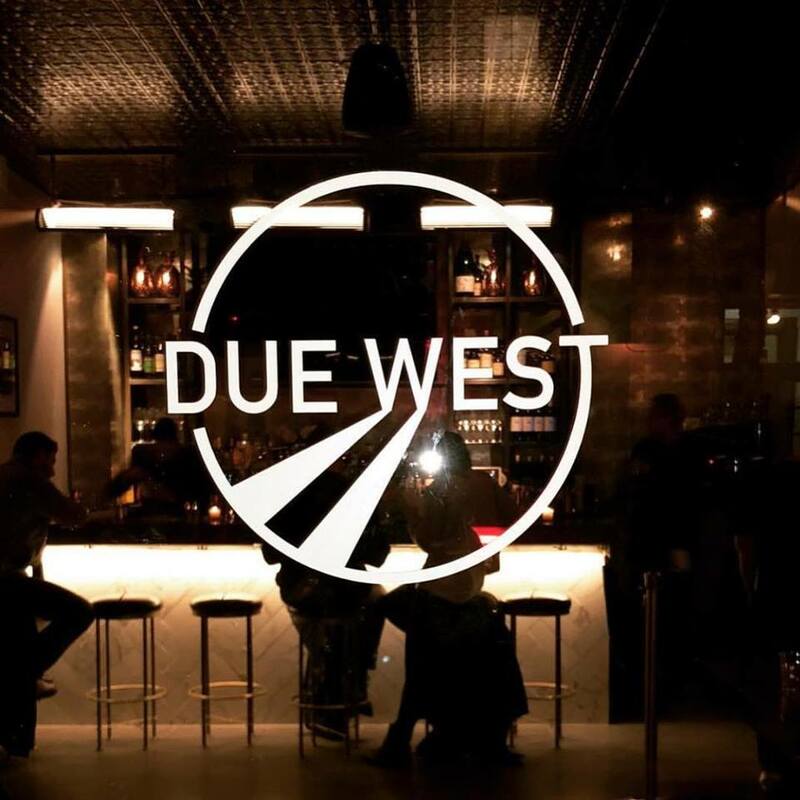 Be sure to check out Due West for your next cocktail!